Inside an open-aired jeepney forging through a rain-streaked road, a group of travelers huddled and tried to cover as much skin as possible. It’s a cold and gray December morning and the 500-foot elevation of Maddela in Quirino province isn’t helping ease the chill that’s creeping through our bones. I watched, transfixed on the empty road we were traversing, contemplating on what lay ahead in the coming days. After an hour of taking in the cold wind filtering through our jeep, we got off the main road and slowly lumbered our way through a muddy trail. The jolt and shock of the uneven path awoke my companions; sleeping time’s over, we’re here, our driver announced. It was our second day in Quirino and before this, most of us have no idea where the sleepy province lay, more so, what it has to offer for travelers like us. Brightly colored life vests were passed around and we were soon walking towards a wide and fast-flowing river; the Governor’s Rapids in the town of Maddela. 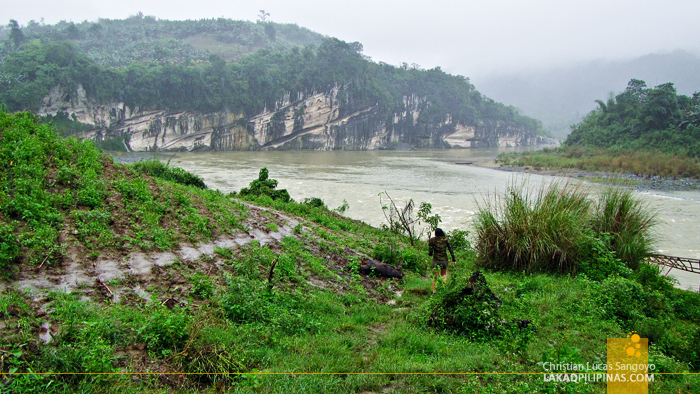 The weather wasn’t cooperating much, the rain intensifying as we neared the river banks. There were no exact trail to the shore and it was a slippery affair to simply move from where we were standing, which was about less than a hundred steps, to the balasyan wooden boats, tied along the shore. But the slippery and muddy non-trail was not a match for the urgency of the view. 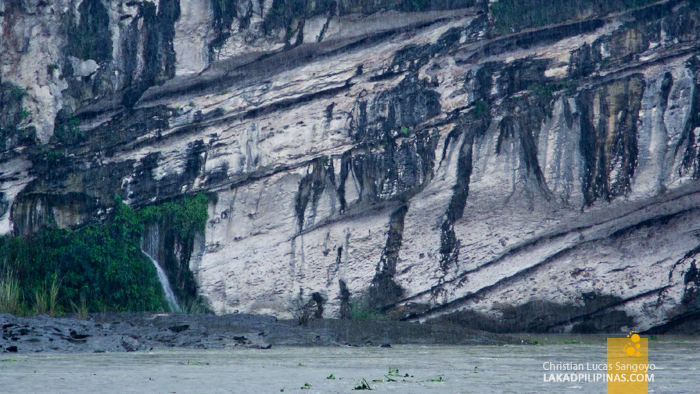 From our vantage, we can see looming vertical limestone cliffs rising from the grayish frothy waters of Governor’s Rapids. To get closer was more than enough of a reward for a couple of embarrassing slips. 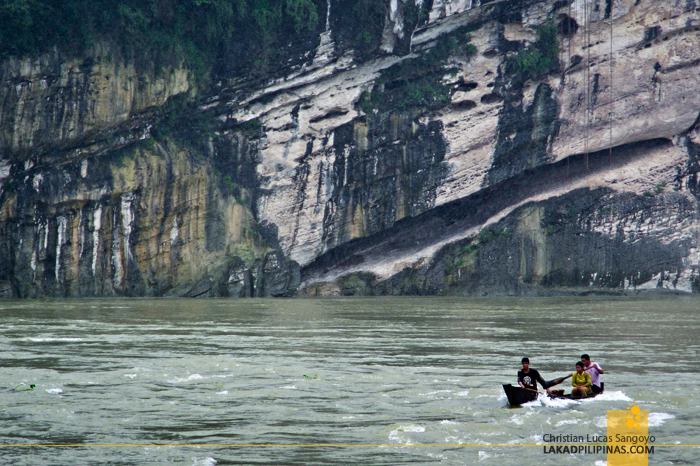 The rapids which lay in Barangay Divisoria Sur got its name from a Japanese general who drowned on it during the Second World War. 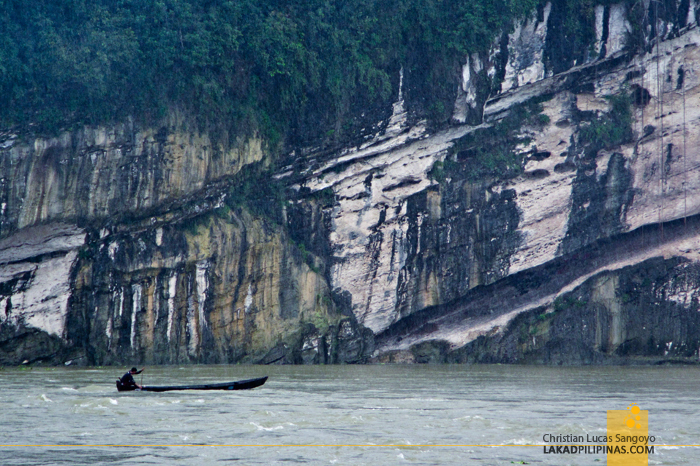 It’s a tributary of the Rio Grande or Cagayan River and is home to the Dumagat Tribe, who usually takes shelter under the spaces carved by the water at the base of the limestone cliffs. Our guide even told us of a cave we can crawl in which has its own gushing waterfalls inside. 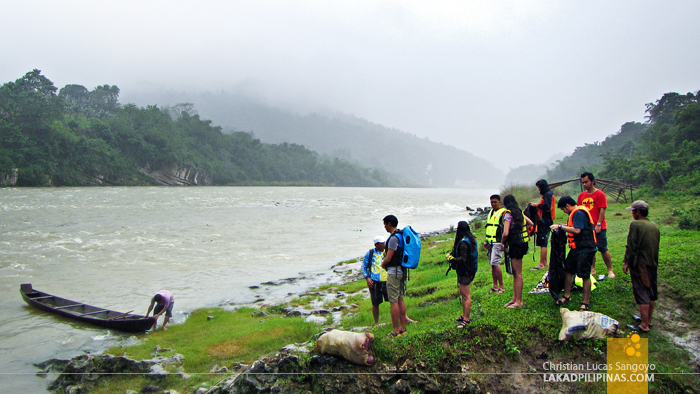 Its water is usually crystal clear during the summer months; even reaping an award for being the cleanest inland body of water in the Philippines, but transforms to its current seething, gray state during the rainy season. But that’s what we were here for. 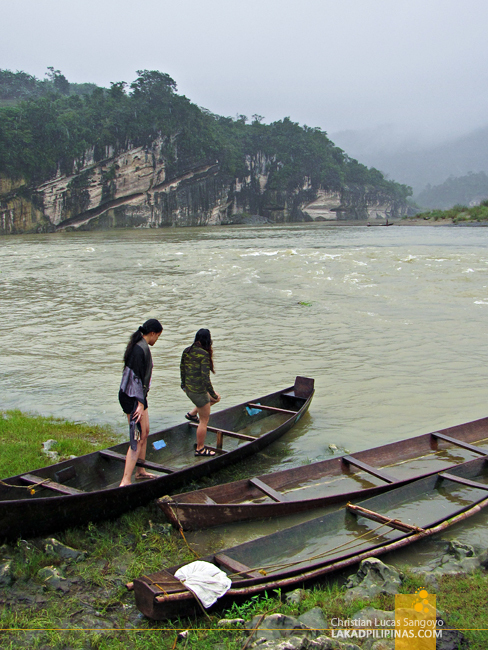 We’re not here to picnic or go fishing at Governor’s Rapids calm and aquamarine waters, we’re here to grind our teeth and canoe through its rumbling, seething murky waters. 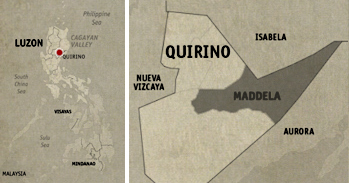 To be honest, most of us weren’t expecting much from the province of Quirino. Our first venture out from its center, Cabarroguis, made us all reset our expectations. 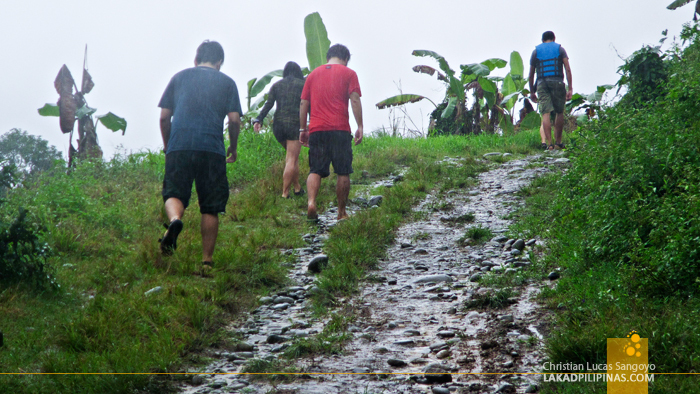 There is indeed something more to Quirino, and we’re here to discover its undiscovered places. Alright, paddle up! Let’s rip through these rapids! Tour arrangements & rates, contact the Quirino Provincial Tourism Office: (078) 692-5088 | (0917) 416-5945. How to Get There: From Santiago, ride a jeep or van bound for Maddela, alight downtown and hire a tricycle to the Governor’s Rapids. sir nakakatakot ba yung bangka na walang katig kasi npapansin prang rough agos ng ilog ibig sabhin kailangan ng balance kasama ang mga nakasakay? Looks like not ideal to brung children right? How much is the rafting? ?